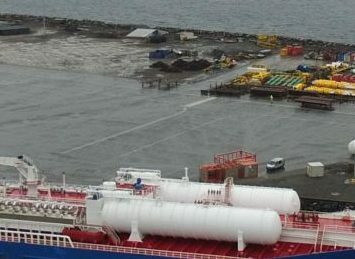 Containers - Broadview Energy Solutions B.V. 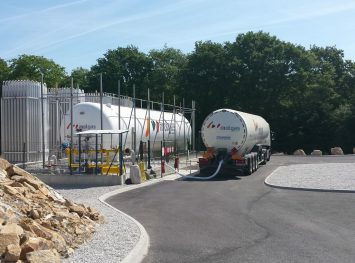 Containers - Broadview Energy Solutions B.V.
Cryogenic Container Solutions is leasing 40ft cryogenic tank containers manufactured by Gascon, Cryovat and Chart. 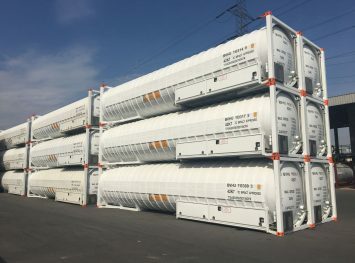 These containers are suitable for transport and storage of cryogenic liquids at an operating temperature between -196 and +20 degrees Celsius and a maximum allowable working pressure (MAWP) of 10 barg. To enable safe operation at such low temperatures, the inner vessel is made of stainless steel and designed and manufactured in accordance to the international rules and regulations and an internationally accepted design code. The space between inner and outer vessel contains multi-layer super insulation and is evacuated to attain maximum insulating properties. 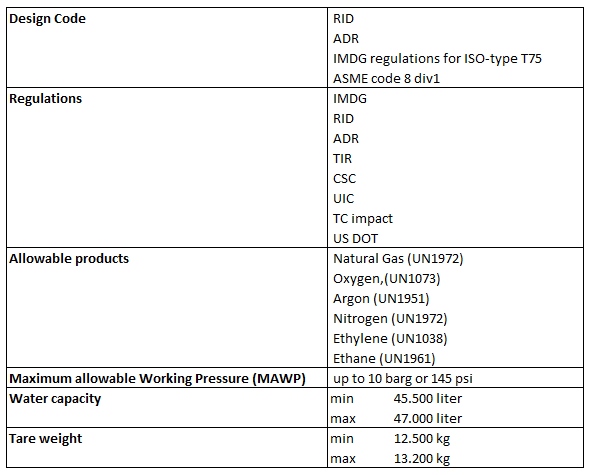 The general specifications of our containers are summarized in the table below. The containers have been designed, produced and certified to allow compliant operations in markets like US, Canada, Europe and Japan. 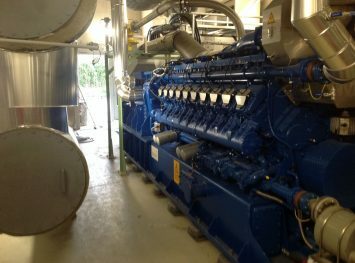 More details regarding our containers can be found in our datasheet 40ft ISO LNG Containers. For further questions regarding our containers please contact us directly.